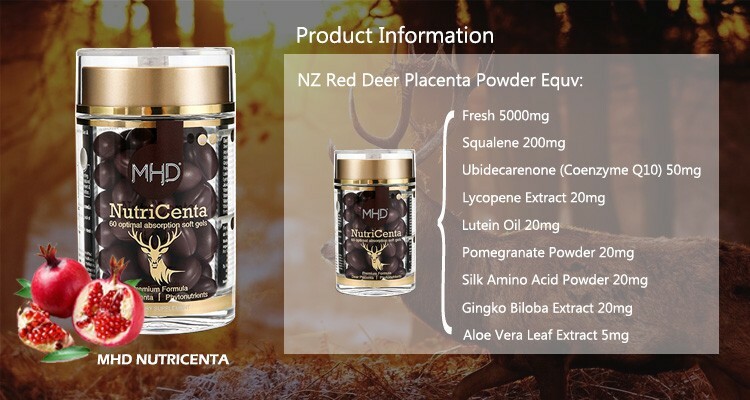 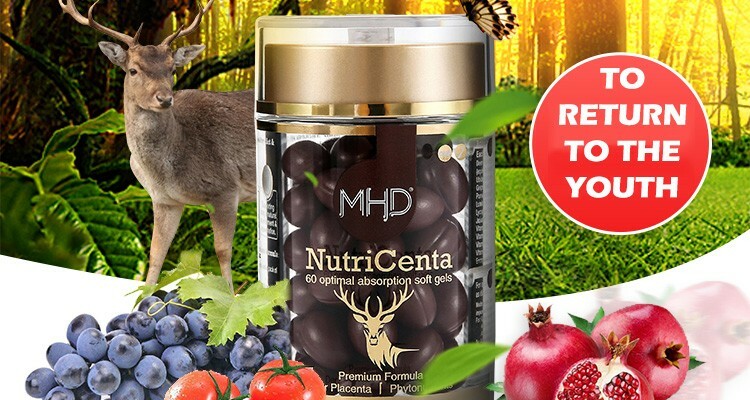 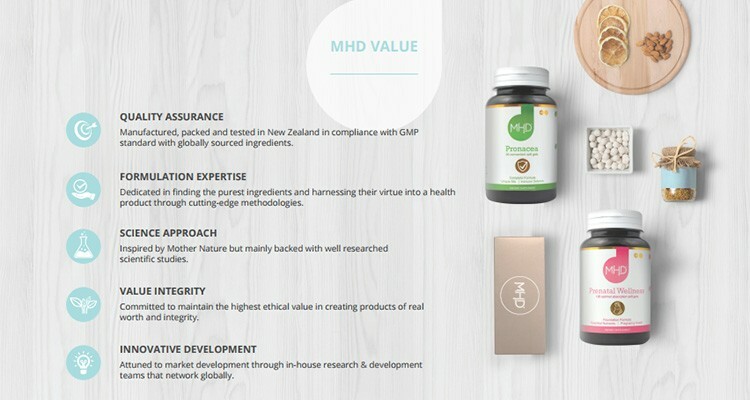 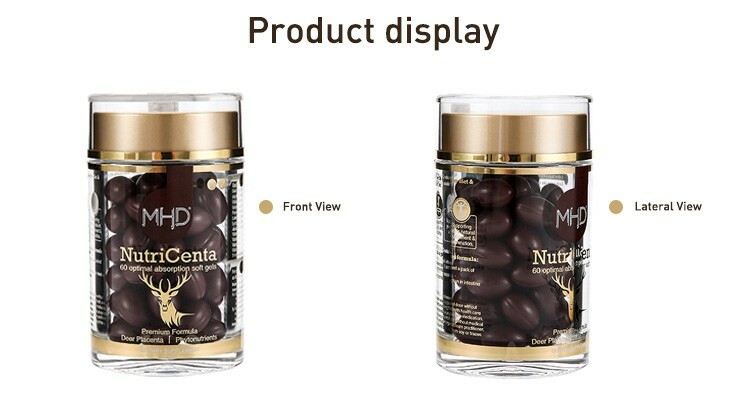 Known as the "Rolls-Royce of health & vitality", NUTRICENTA contains 9 precious ingredients in a premium formulation containing nourishing New Zealand Red Deer placenta and synergistic phytonutrients to support the essential foundation for exceptional health and vitality. 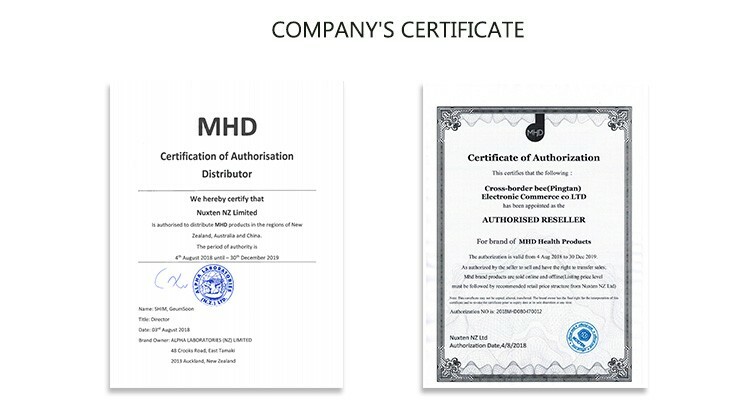 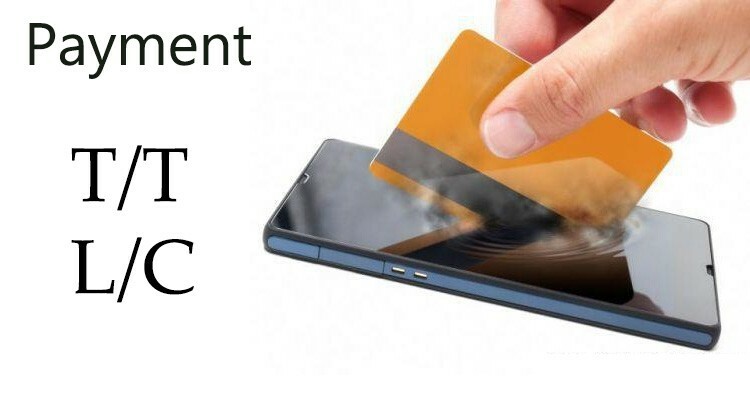 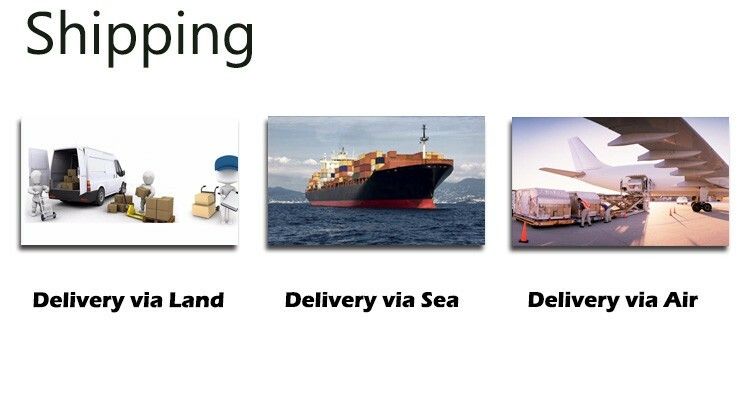 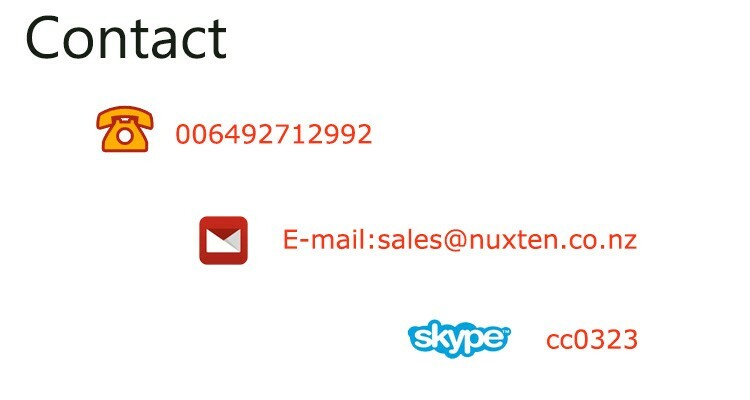 §	Processed and manufactured using leading technology, strict quality management, safety and ingredient traceability. 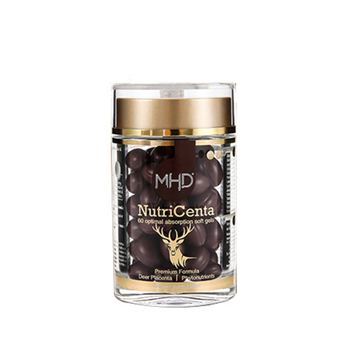 §	NutriCenta is a rich source of nutrients, phytonutrients and growth factors that support tissue growth and healthy organs. 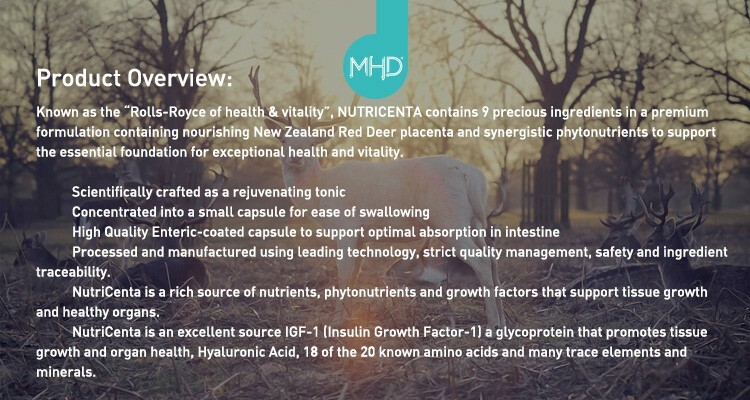 §	NutriCenta is an excellent source IGF-1 (Insulin Growth Factor-1) a glycoprotein that promotes tissue growth and organ health, Hyaluronic Acid, 18 of the 20 known amino acids and many trace elements and minerals. 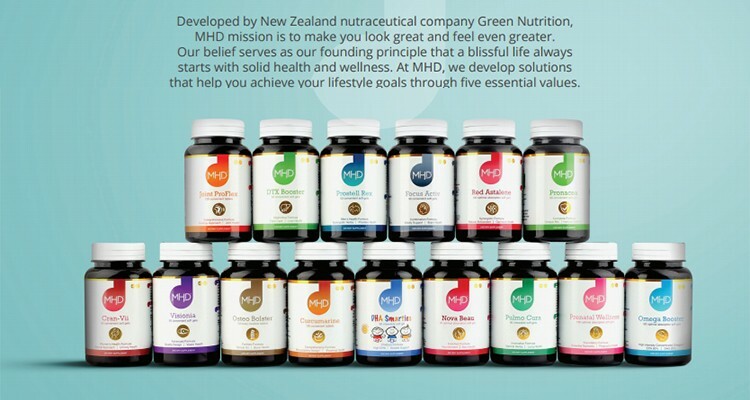 §	Maintains a strong immune system that plays a crucial role in promoting longevity, enriching every cell, organ and our body to remain in their optimal health condition. 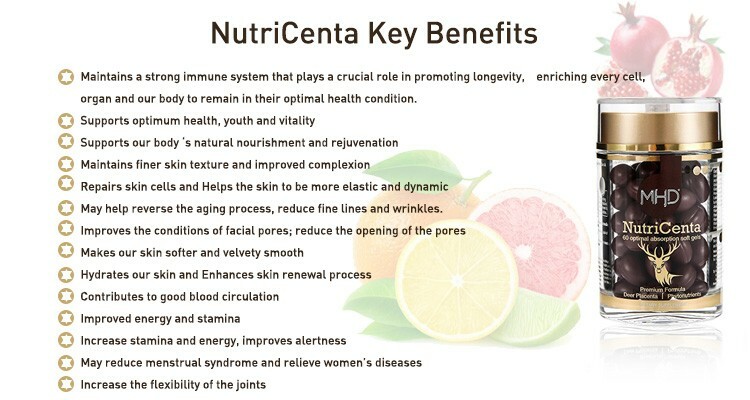 §	May help reverse the aging process, reduce fine lines and wrinkles.